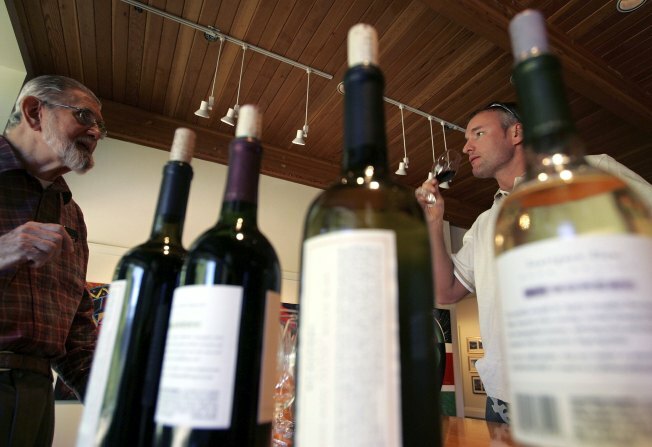 The Washington Wine Academy will be at Arlington Cinema & Drafthouse tonight. That's what we like to think of as a true meeting of the minds. Arlington Cinema & Drafthouse. You hear the name, you think, "movies." You think, "beer." And those are two very good things. We like those things. But once in awhile (like, well, every Friday), the drafthouse partners with the Washington Wine Academy to serve moviegoers specially selected grape-flavored beverages. Doors open early at 6:15 p.m. so that customers can purch wine tickets ($2 each or six for $10) before the show. Experts from the Wine Academy (yeah, uh, we think we went there once, for like, four years in college or something) will be around to discuss the wines chosen for the night. "Due to popular demand for equality among adult beverages," says the Web site, "we are proud to announce: Wine Night at the Movies. After all, it's not all about the beer!" If it actually IS still about the beer for you, rest assured that they're still serving 'em despite the Wine Night moniker. It's wine; not whine. Behave accordingly.